Jack Howard is my hair husband. He creates the best buttery blonde balayage in town, and I remain faithful to him. Well, mostly: every now and then I cheat out of sheer curiosity. This is one such tale. Last month, you see, I found myself in the unusual situation of bagging an appointment with Nicola Clarke, Creative Colour Director for Color Wow. Those who covet blonde as I do will know that Nicola is THE lady to hit up for tresses worthy of a Hitchcock heroine, highlighting the hallowed heads of Kate Moss, Cate Blanchett, Kate Winslet, Madonna, Kate Beckinsale, Nicola Scherzinger… Oh, just look on her instagram: if someone impossibly beautiful colours their hair, it’s likely that Nicola will have done the job (my instagram stalking session just now revealed Di Caprio’s preternaturally baby blonde highlights in The Beach to indeed be faux – bravo, Nicola). So my infidelity is quite understandable. And, as it transpired, well worth it; emboldened by my dalliance and inspired by Nicola’s shock of blonde hair, I decided to add some streakiness and an extra dose of whiteness to my hair. Jazz things up. New year, new me. Etc. My references: Audrey’s Breakfast at Tiffany’s white stripes with a soupçon of Grace Kelly’s coolness. Nicola was not thrown by this somewhat confused request, painting in flashes of platinum that added the feel I was after without ever quite meeting the root of my hair (i.e. won’t need constant touch ups). Next in my hair transformation was a trip to see Shelley at Hershesons in Harvey Nichols. 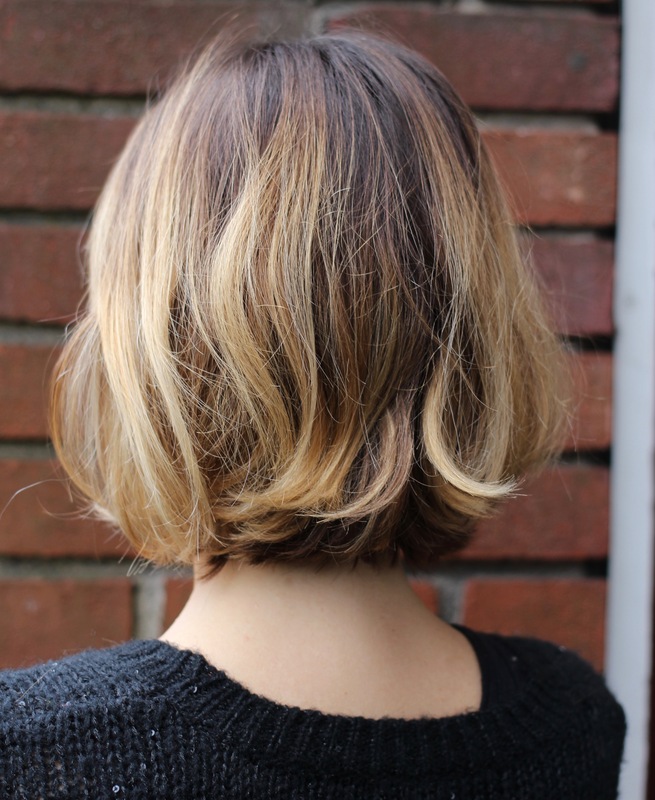 Shelley was responsible for the jagged bob I loved so dearly over the summer, and as subsequent trims with other hairdressers didn’t manage to match the relaxed vibe of her cut, I booked in again. 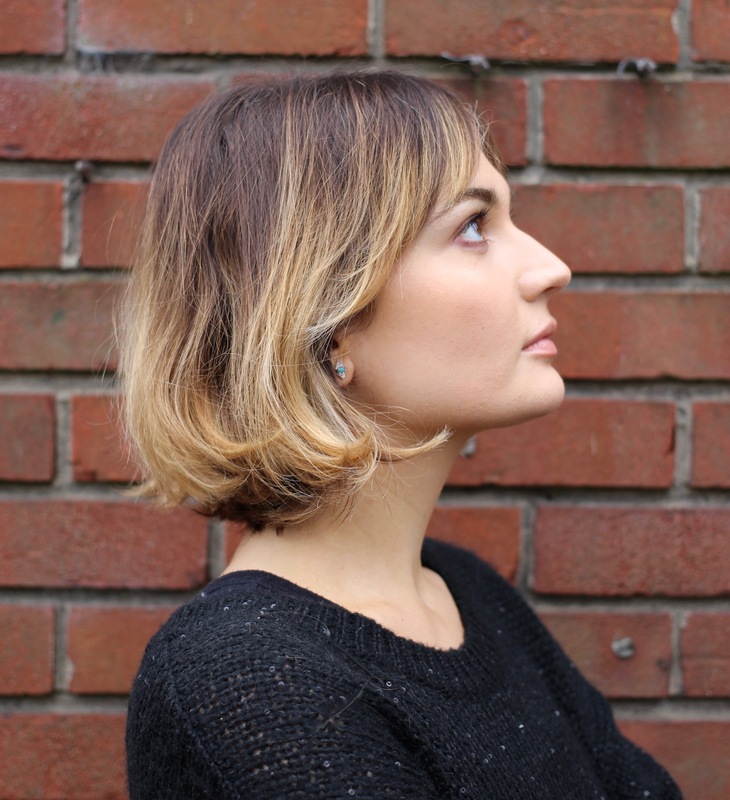 She didn’t disappoint – an hour after begging her not to take too much off the length while also reshaping my cut (evidently, I like to offer a challenge to hairdressers) I emerged with the choppy, effortless, easy to style hair I am currently sporting.